This is the second installment of Muffin Mondays – each Monday during MoFo, I’m posting a brand new muffin recipe. Carb lovers, rejoice! Last week’s first installment of Muffin Mondays featured Fruit Medley Muffins, a hearty, wholesome, fiber-packed morsel to help you ease into another week of work on a crisp autumn morning. But what if you happen to live in a region that’s experiencing a return to summer, with temperatures in the upper 70s, clear blue skies, and nothin’ but sun? Then I suggest you celebrate pseudo-summer by baking up a batch of tropical-inspired muffins. In a medium bowl, whisk the flax into the warm water and set aside. In a large bowl, sift all the dry ingredients together and mix well. Add the wet ingredients to the flax mixture and stir well, making sure all wet ingredients are mixed. Make a well in the middle of the dry ingredients and pour the wet ingredients into the well. Mix until just incorporated. If the batter seems extremely liquidy, add a tablespoon or two of all-purpose flour. When it’s wet but not liquidy, fold in the dried coconut and the pineapple. Spoon the batter into the prepared muffin tin – it’ll cup up to the top of each well. Bake for 25 – 30 minutes or until a thin knife inserted in the center of a muffin comes out clean. 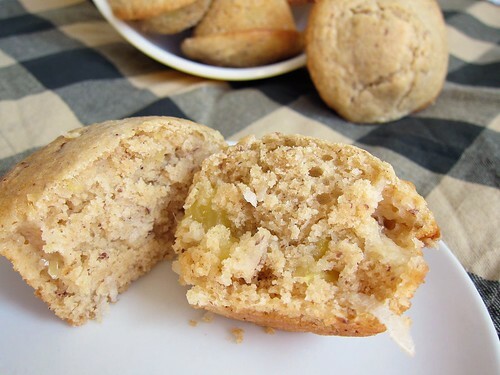 Each of these cheery muffins is filled with bright flavors; pineapple and ginger take a star role while coconut and lime provide subtle background notes. Feel free to play with the proportions; you could reduce the amount of ginger and add extra coconut, or include lime zest to up your citrus quotient. Whatever way you go, these muffins are a summer-inspired treat to keep you smiling on a sunny Monday morning. I’ll never let go, Jack! of summer! Do you embrace seasonal changes? What’s your favorite muffin? What should I make next? Those look great! I try to bake seasonally, I always find myself craving pumpkin, apple & cinnamon come Autumn. My favourite muffin is blueberry though. The muffins sound delicious, but can I please have the weather! In Sydney we get most produce all year round so it’s easy to forget to cook seasonally. 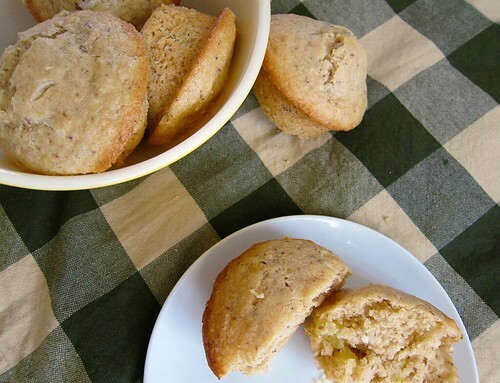 I have some pineapple leftover from the weekend so I can try these muffins out!